Could Android be in trouble after Apple’s recent patent victory? If you haven’t heard of Apple’s $1 billion settlement over Samsung in a South Korean courtroom last month, then you probably haven’t checked the internet lately. Following the announcement of the verdict, there was a mixed reaction from the tech community. Some said Apple was justified in suing Samsung for patent infringement, while others said that Samsung smartphones and tablets were far more unique than Apple was implying. The overwhelming majority, however, seemed to believe that Apple was being a bully and discouraging competition in the smartphone market. There’s no doubt that consumers suffer as a result of this verdict, and they might suffer even more if Apple succeeds in pulling Samsung devices off shelves around the world. $1 billion is a massive amount of money. But it’s nowhere near the loss that manufacturers would experience if Apple was to start winning lawsuits Google, the creator of Android, next. But that’s exactly what might happen in the near future. Over the last few weeks, Apple has filed several patent infringement lawsuits against Google at courtrooms around the world. If these courtrooms rule in Apple’s favor, then Android users might be the ones who suffer. Google might have to remove certain features from the Android operating system, making the devices more difficult to use. 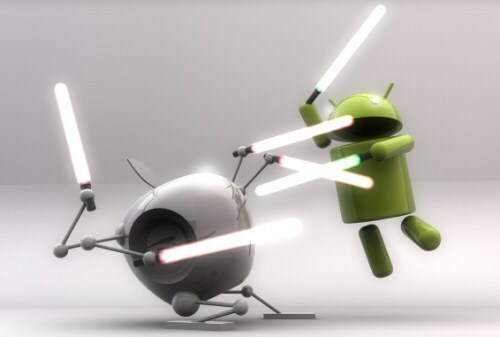 In other words, an Apple patent lawsuit victory could mean the end of Android as we know it. If you like Android and the way it currently works, then make sure you’re cheering for Google as they fight against Apple in court over the coming months. A war between Apple and Google would be interesting, to say the least. Already, the two tech giants are battling in courtrooms around the world. Apple has put forward various cases which suggest that Google copied iOS with its Android operating system. However, Apple isn’t the only one going on the offensive. Google has also challenged Apple with its own set of lawsuits. Last week, Google filed a lawsuit in a German courtroom which challenged the validity of one of Apple’s patents. Specifically, Apple holds a patent for something called “overscroll bounce,” which is the rubber-band effect that mobile users experience when they hit the bottom of a list. iOS was the first mobile operating system to feature the overscroll bounce, although it’s also seen on Android devices – something that Apple obviously doesn’t like. However, Google used its Motorola unit to file a challenge to the validity of that patent. The lawsuit has been filed in a German courtroom, and we’ll have to wait and see what the outcome of that case will be. This isn’t the first time that Motorola has gone after Apple. In August, Motorola filed patent infringement lawsuits against Apple for a variety of features, including email notifications, location reminders, and even Siri, Apple’s voice-recognition system. A legal battle – or a legal war – between Apple and Google would be expensive, lengthy, and probably pointless. Some large cash settlements might be awarded to Apple or Google, but that might not make a difference in the long-term state of the industry. As a result, the CEOs of Apple and Google have reportedly been meeting in a series of secret talks. They’re making an effort to avoid the intellectual property war that is currently brewing between the two companies. Whatever happens in the war between Apple and Google, consumers want the widest possible selection of devices at the most competitive prices. 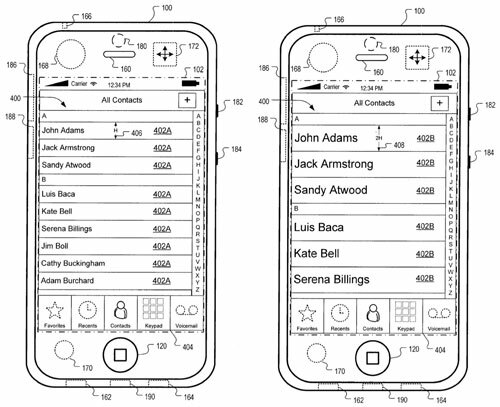 When tech companies like Apple hoard patents, it’s a bad thing for everybody but Apple.